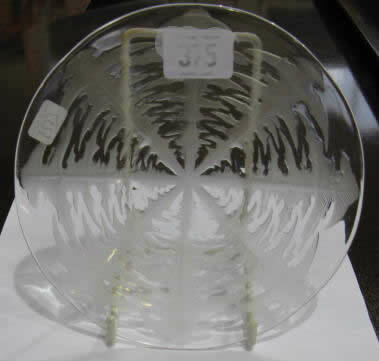 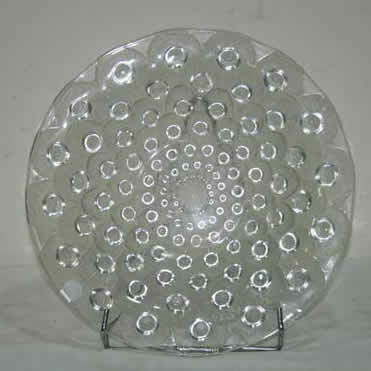 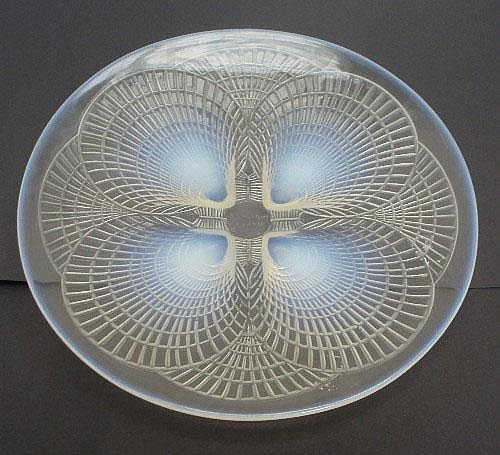 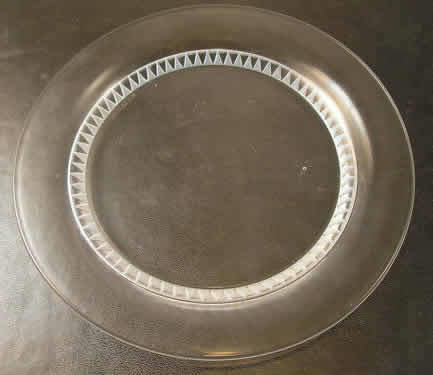 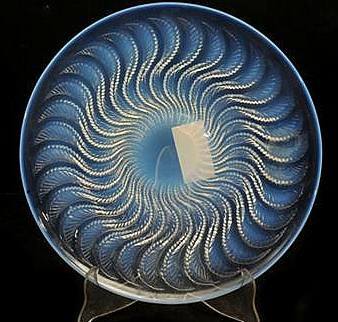 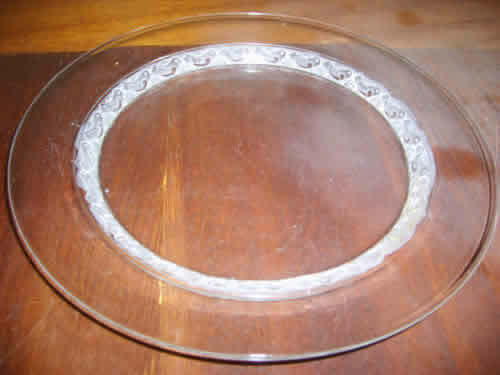 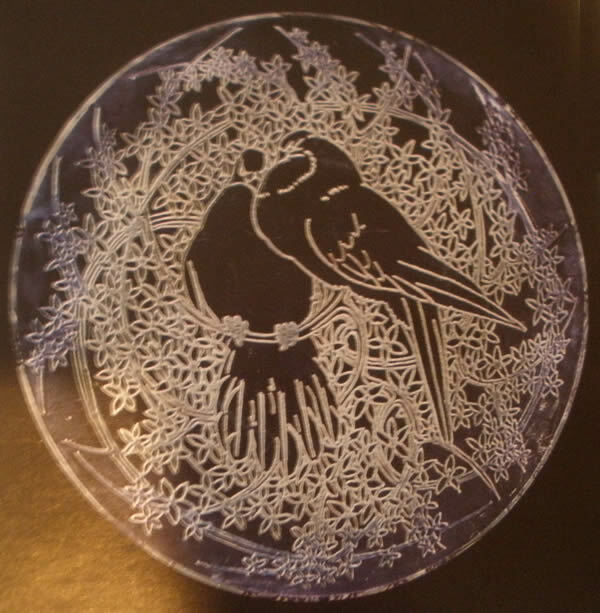 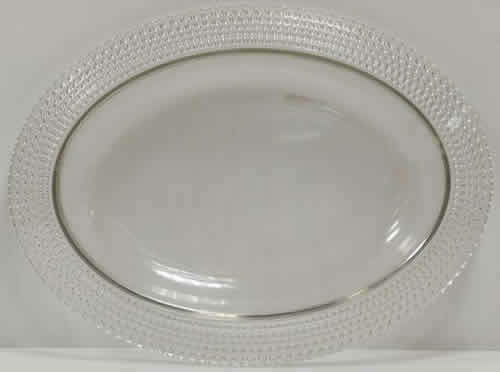 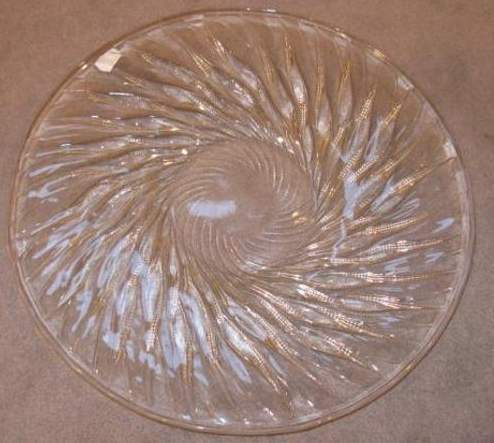 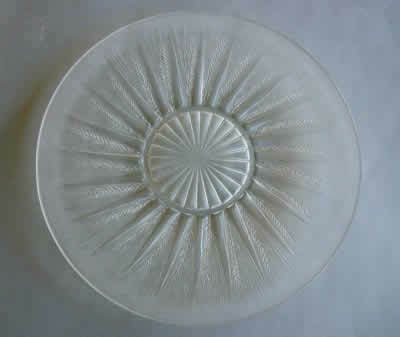 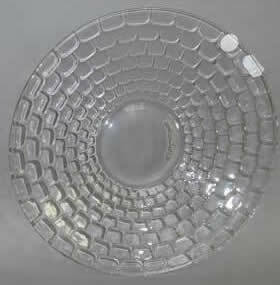 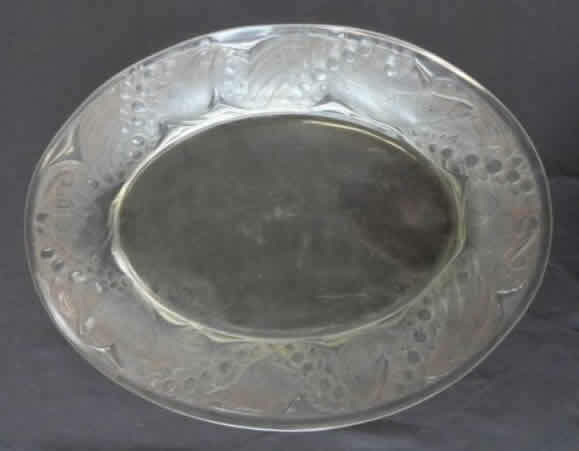 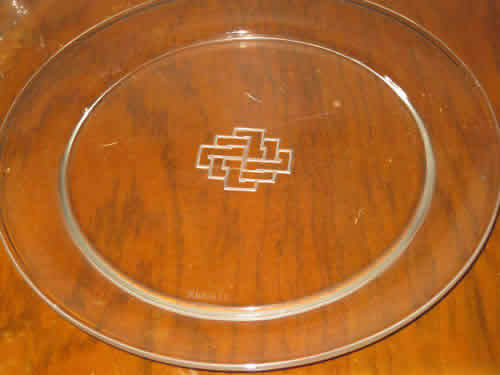 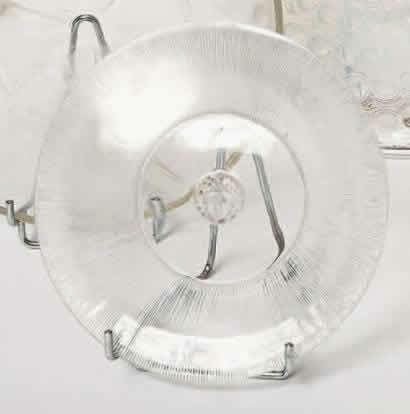 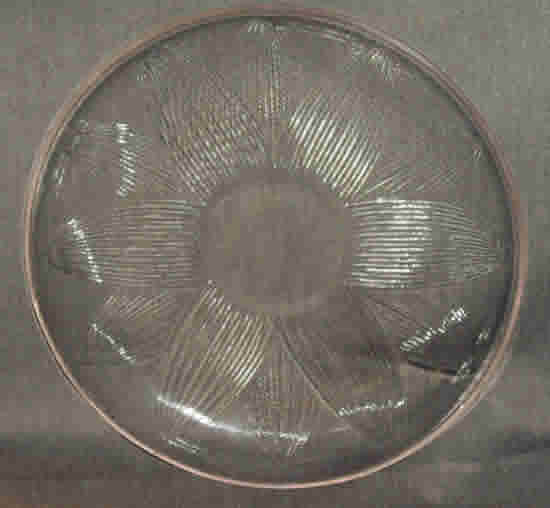 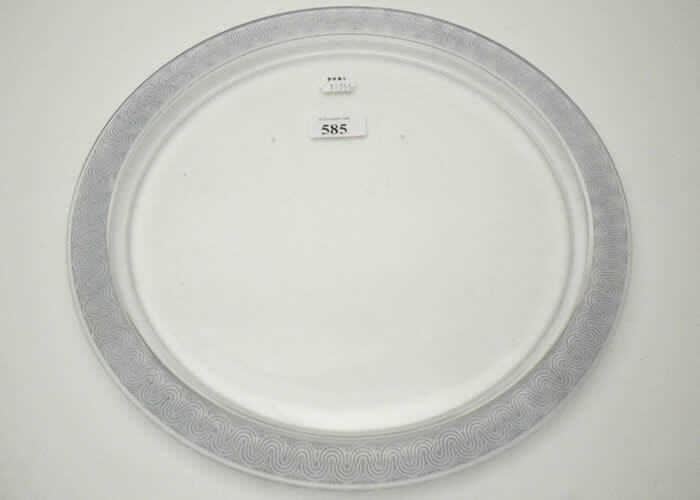 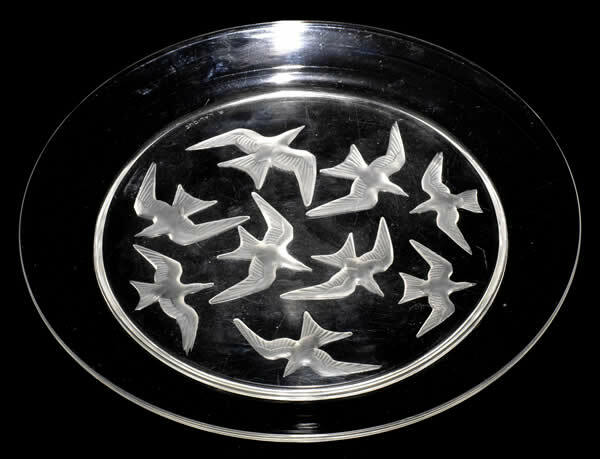 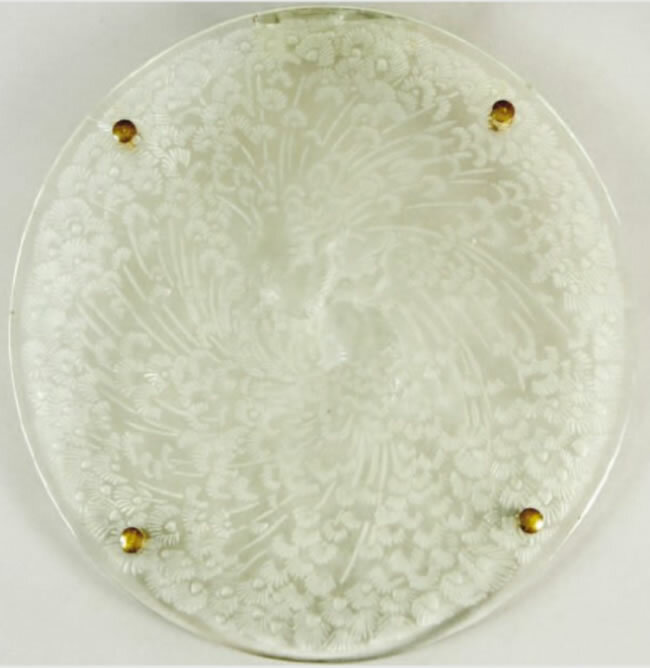 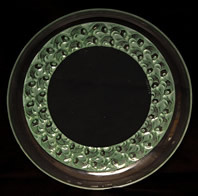 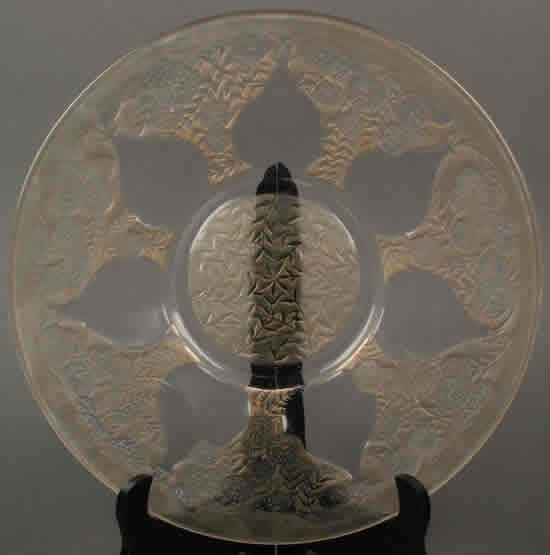 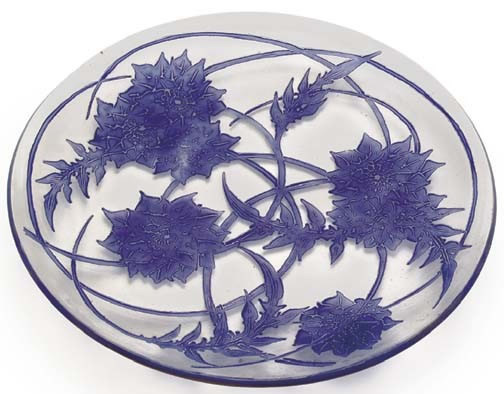 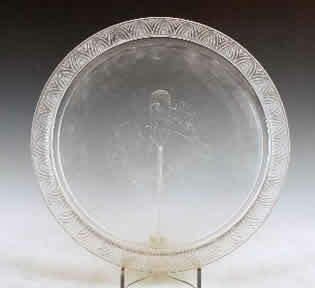 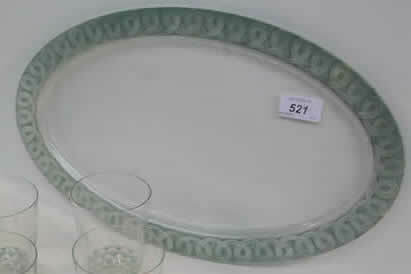 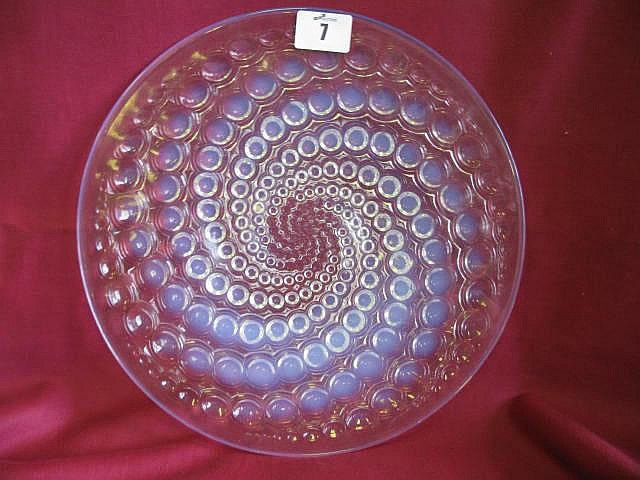 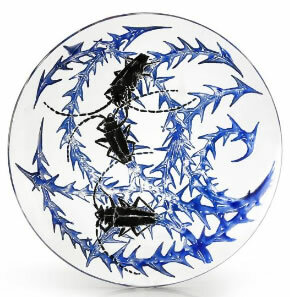 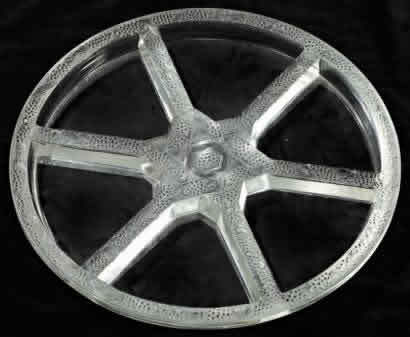 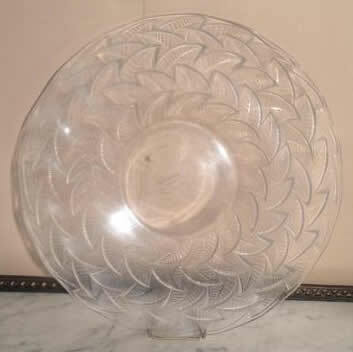 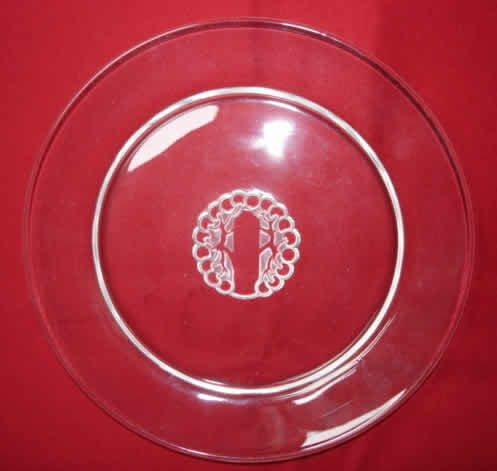 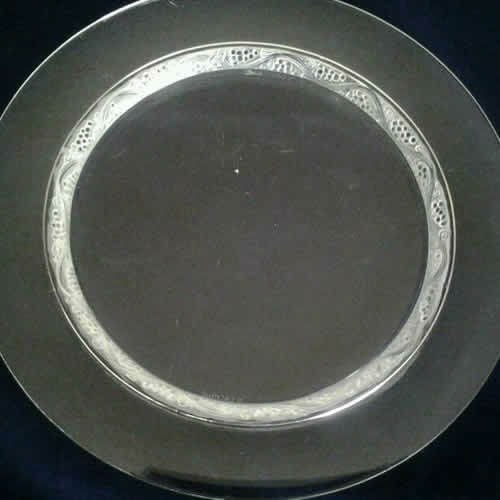 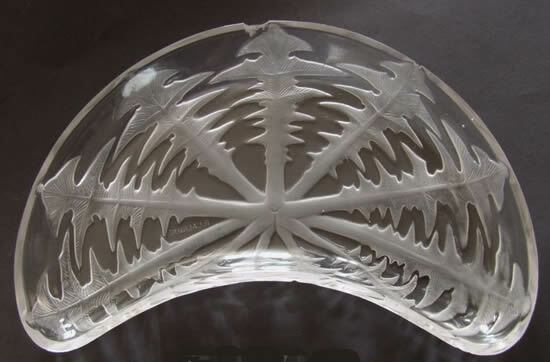 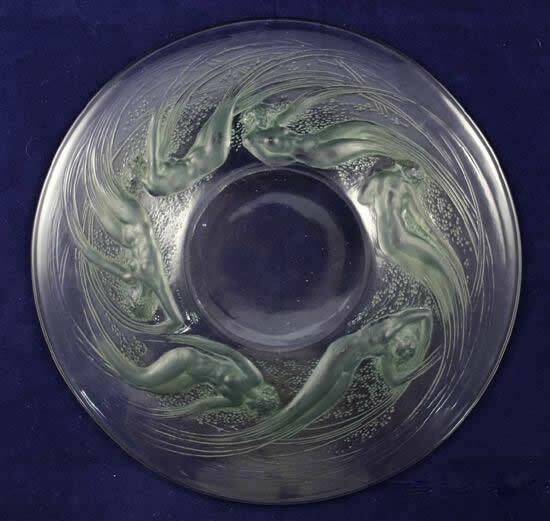 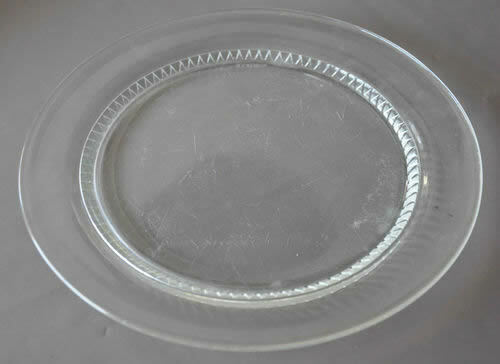 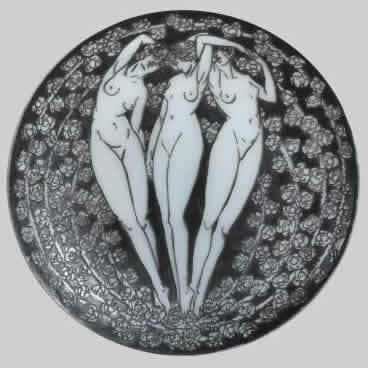 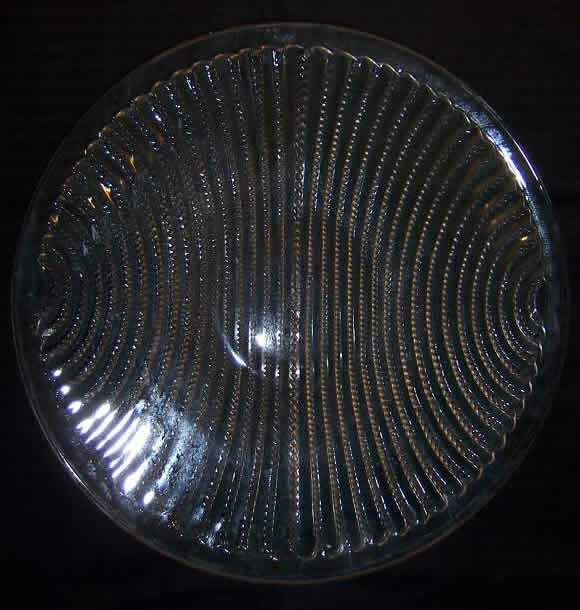 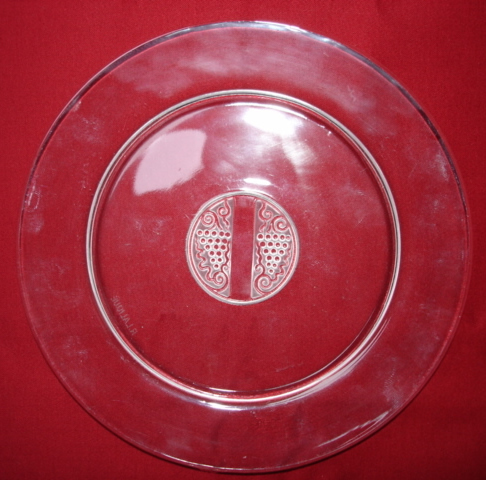 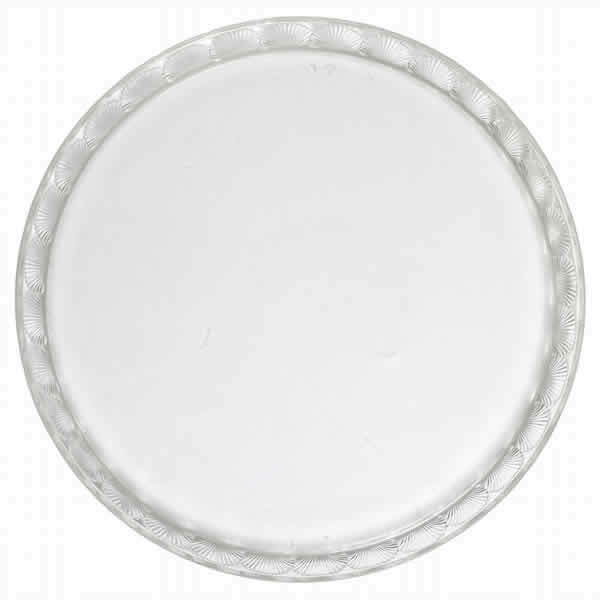 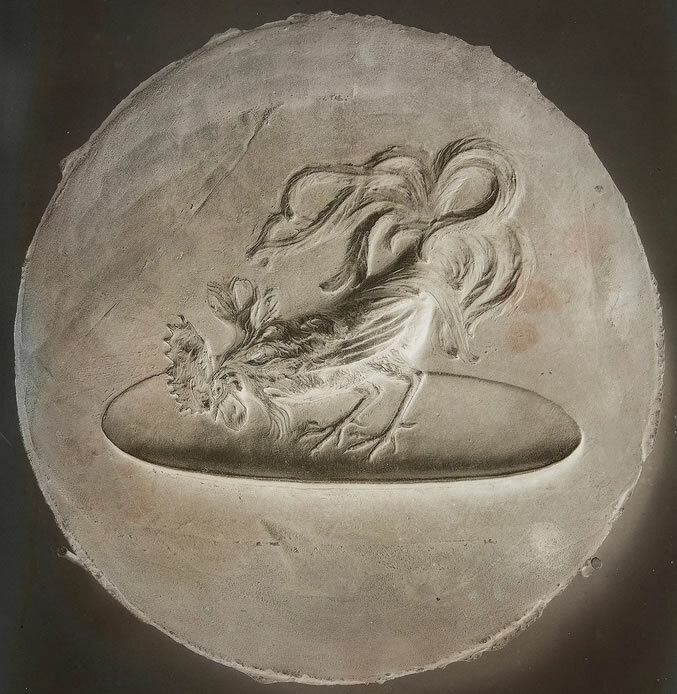 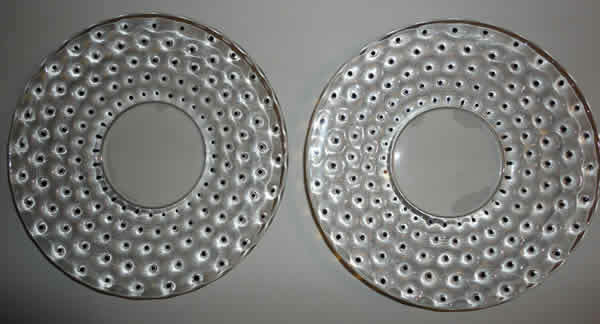 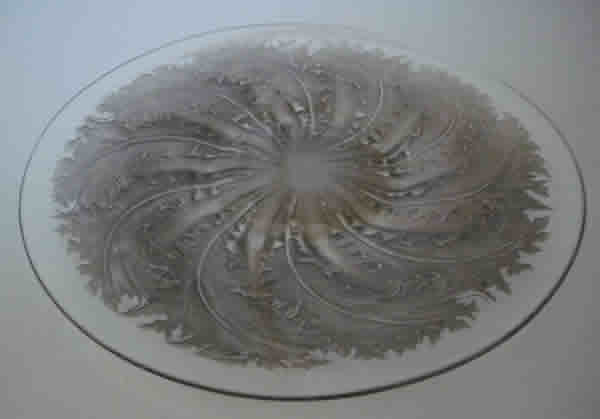 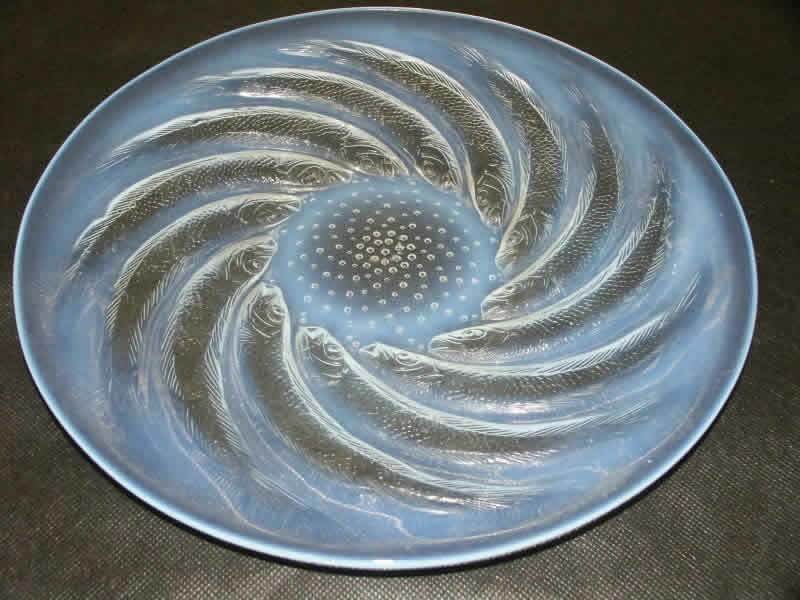 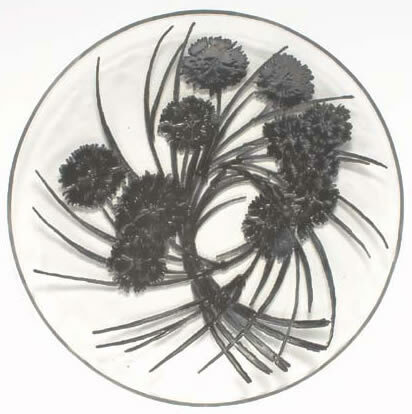 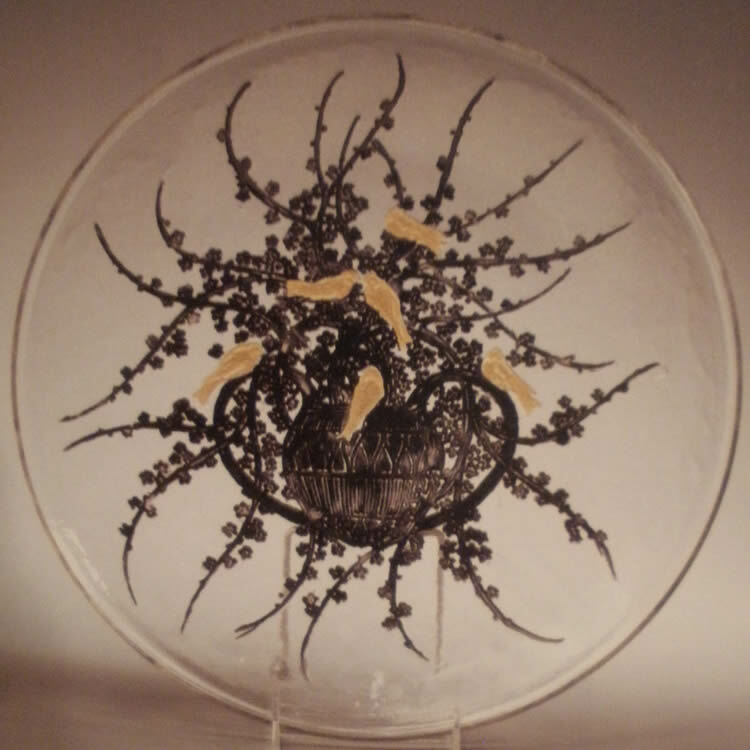 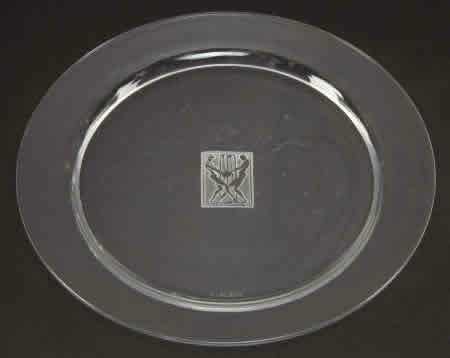 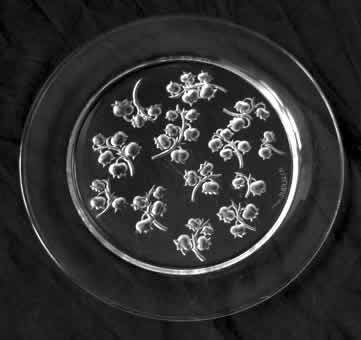 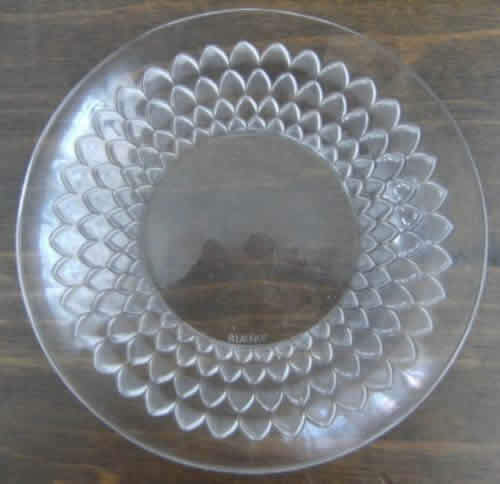 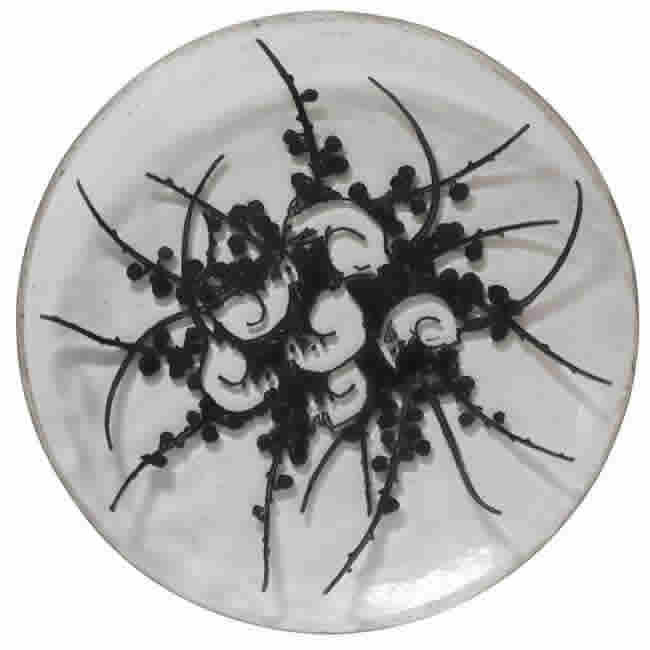 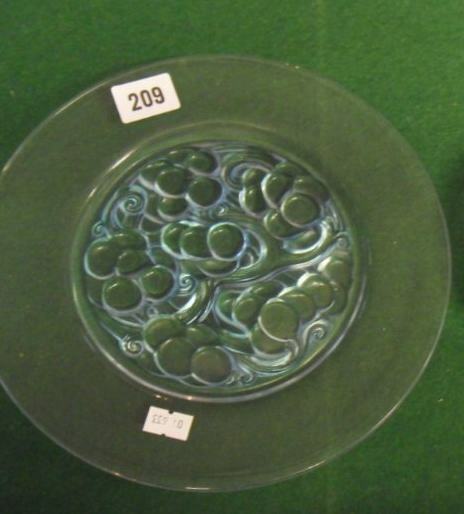 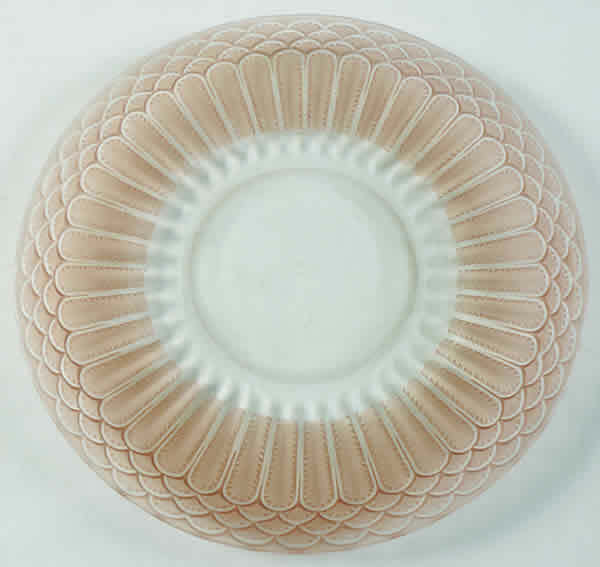 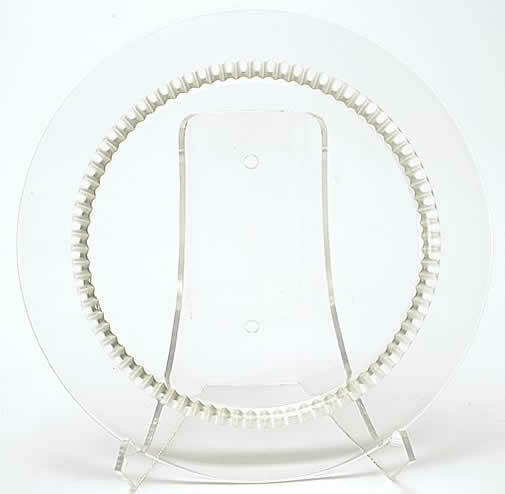 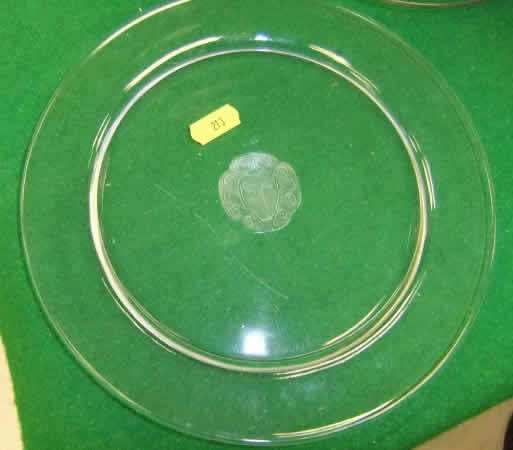 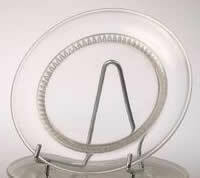 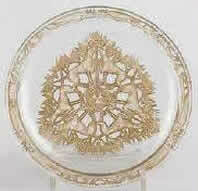 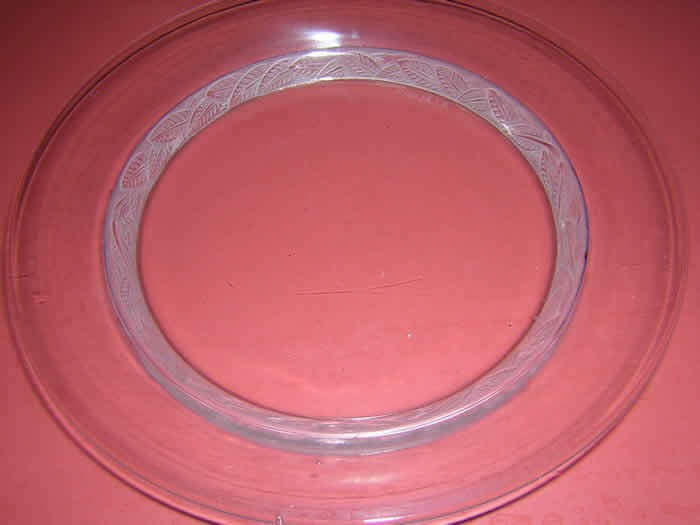 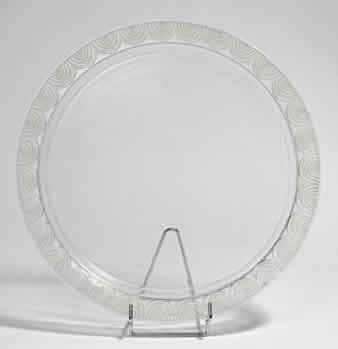 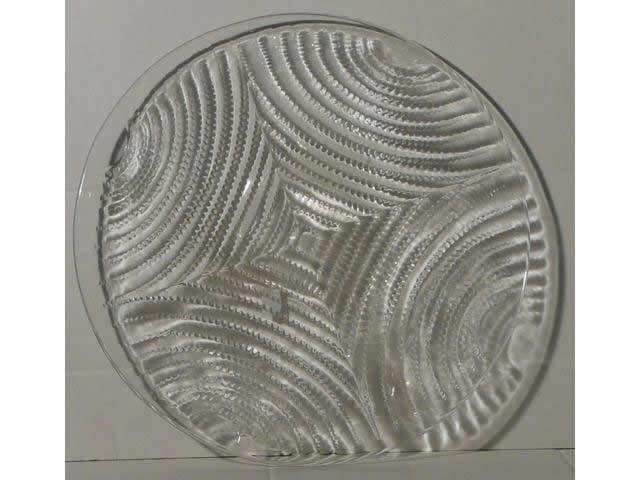 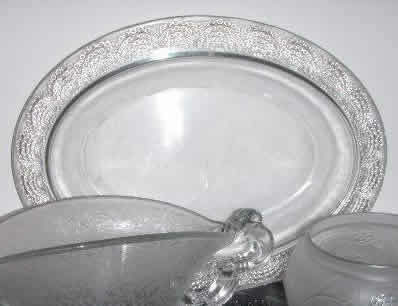 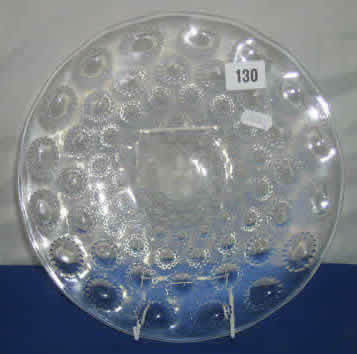 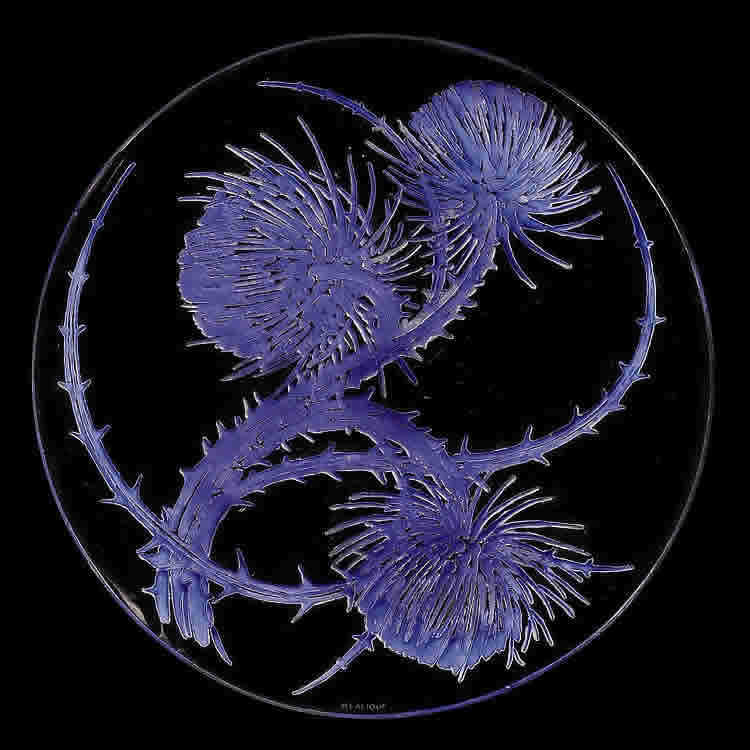 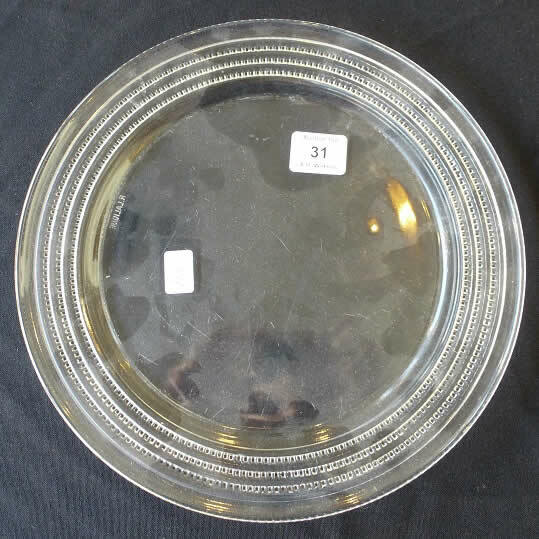 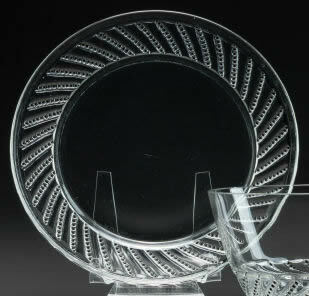 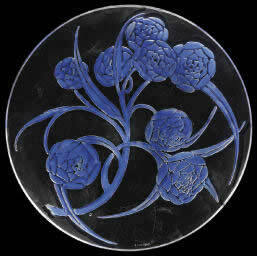 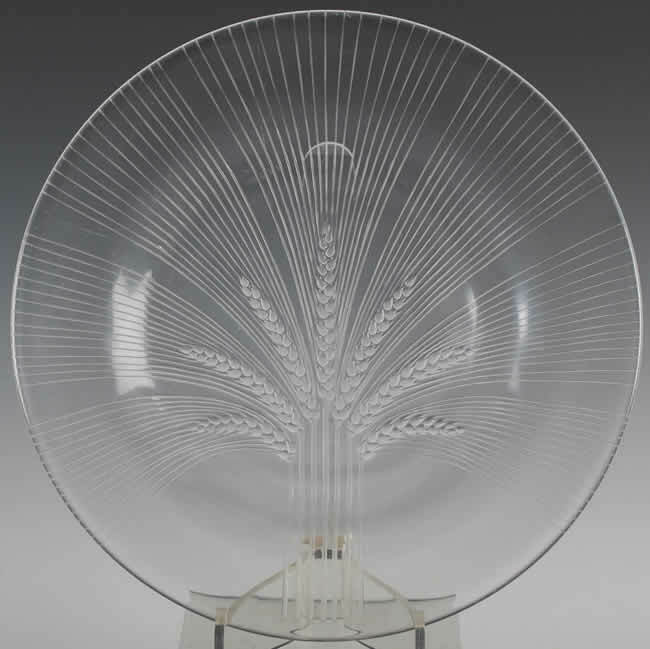 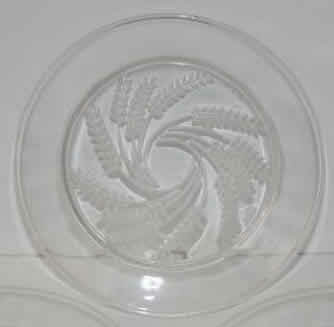 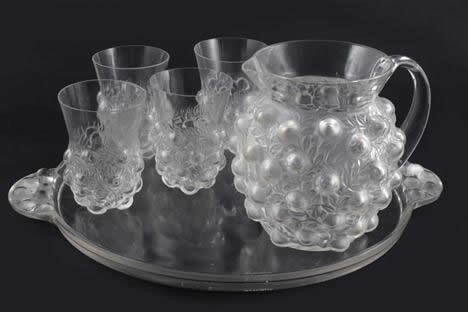 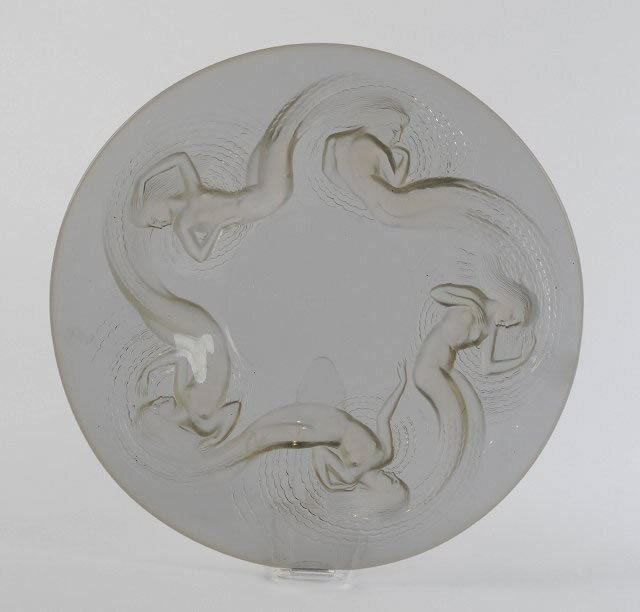 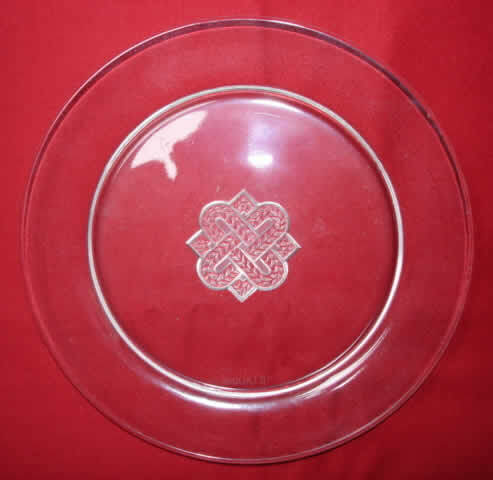 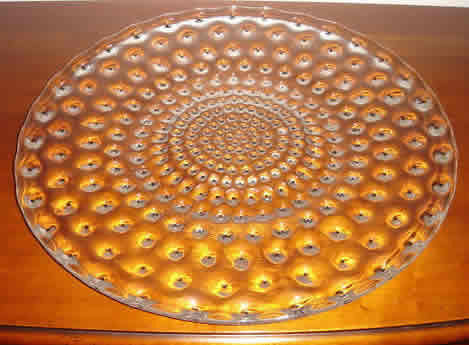 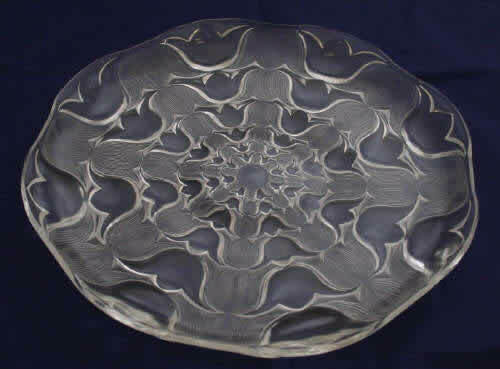 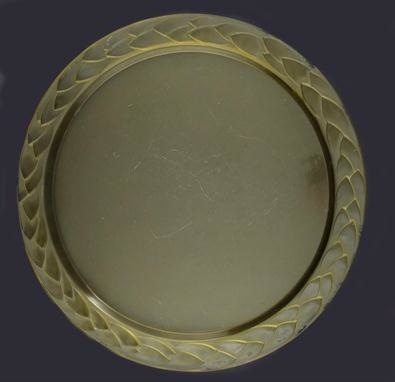 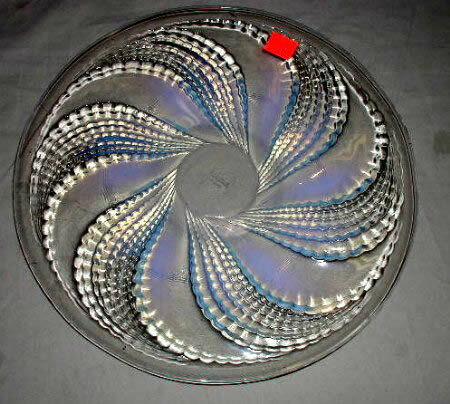 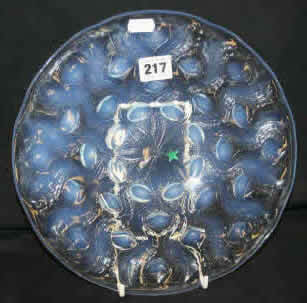 Rene Lalique Plates: On this page is an example of each model Lalique Plate in our database. 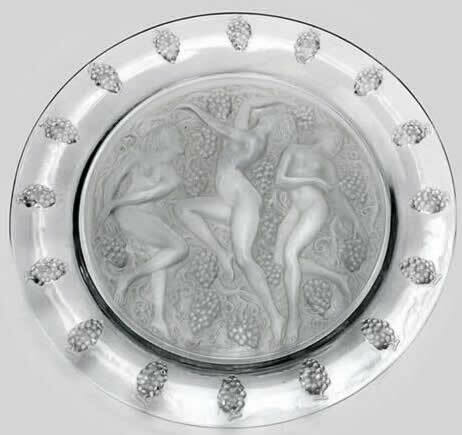 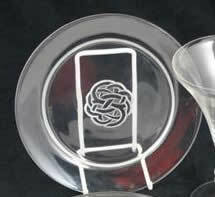 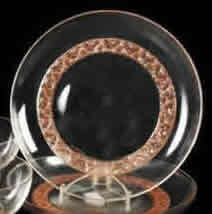 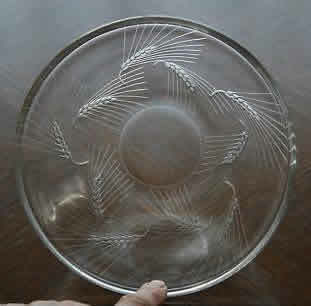 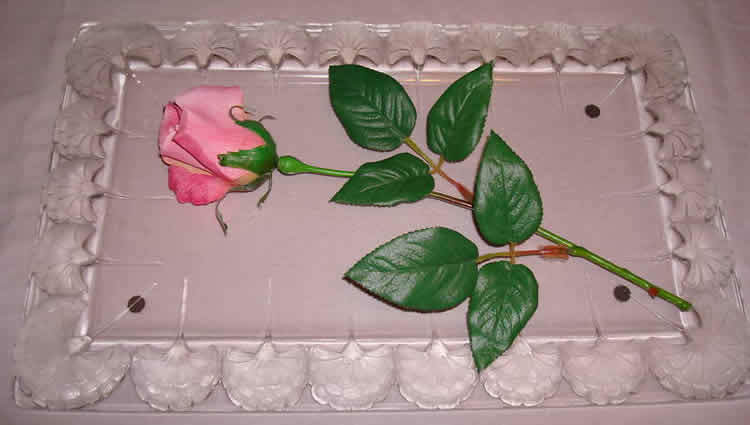 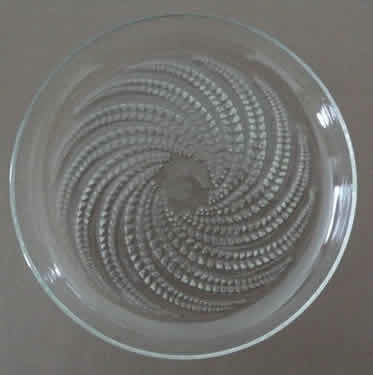 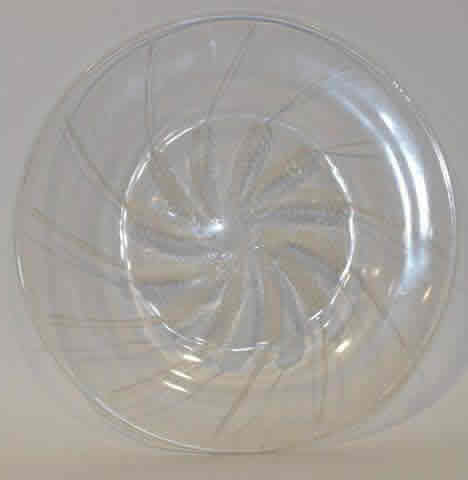 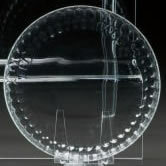 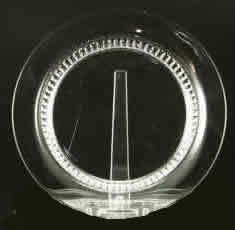 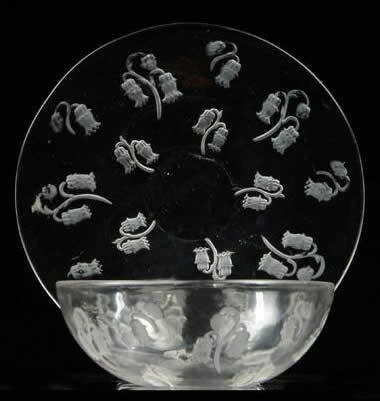 The links will take you to the main page for each R. Lalique Plate model. 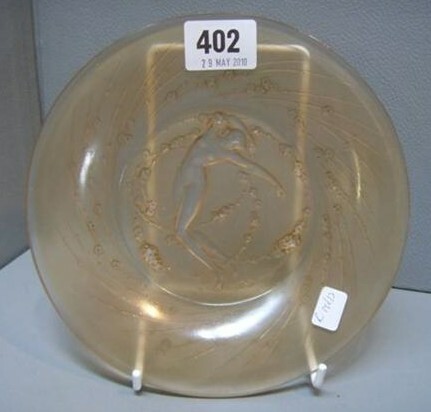 That main model page will contain a wealth of information for each plate and links to other sections of the website relevant to that plate design. 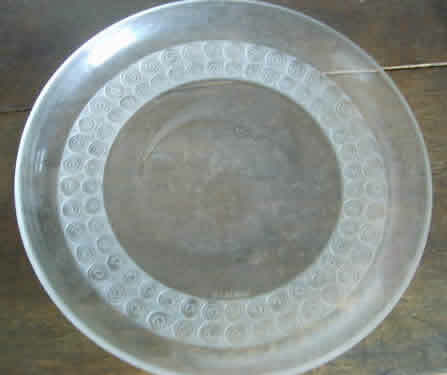 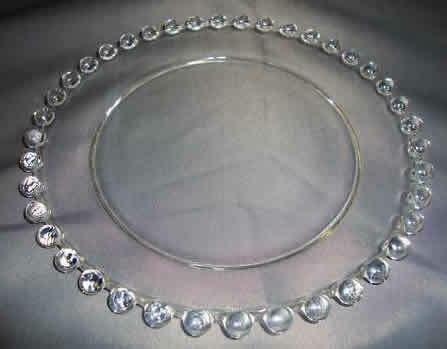 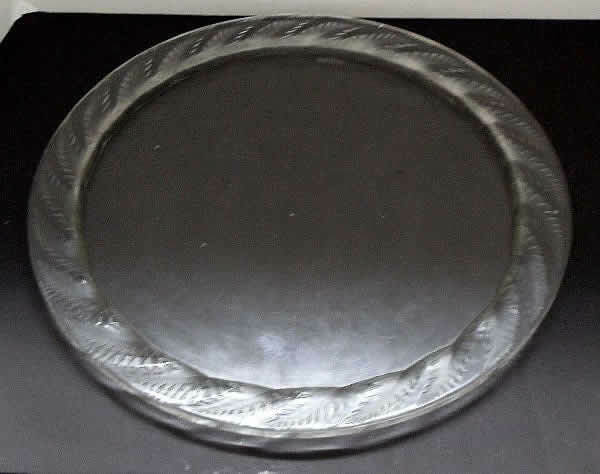 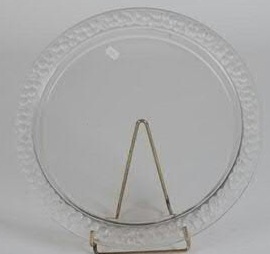 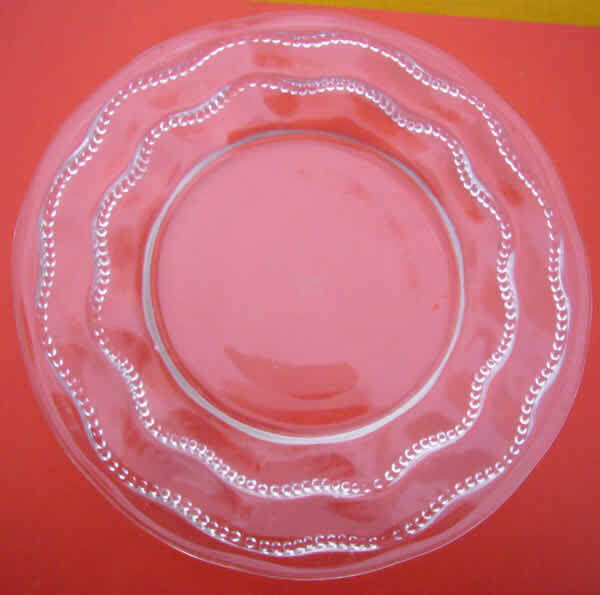 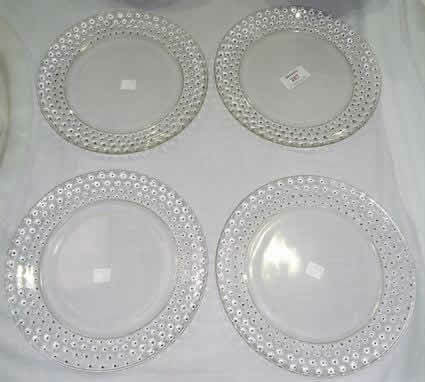 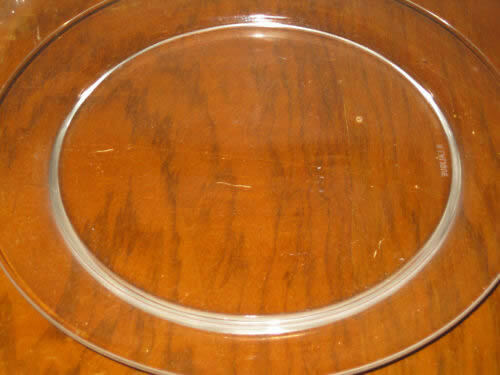 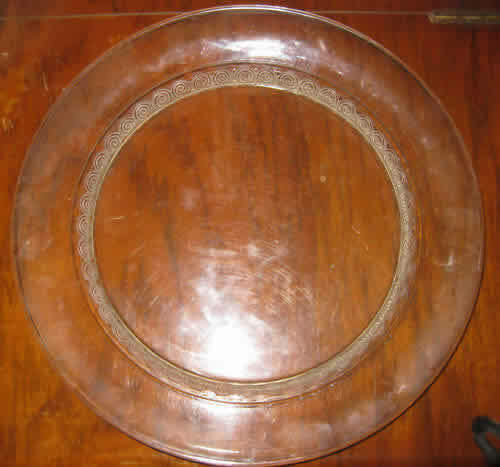 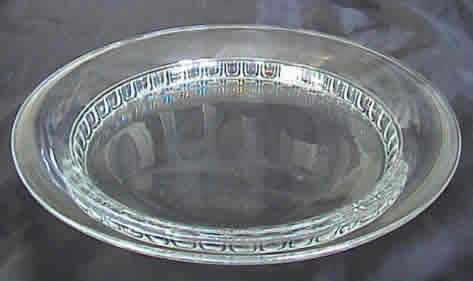 Plates are also called assietes, plateaux, and dishes. 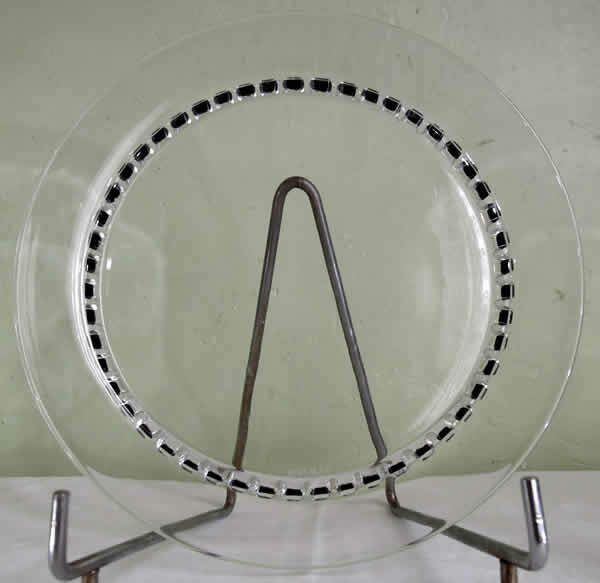 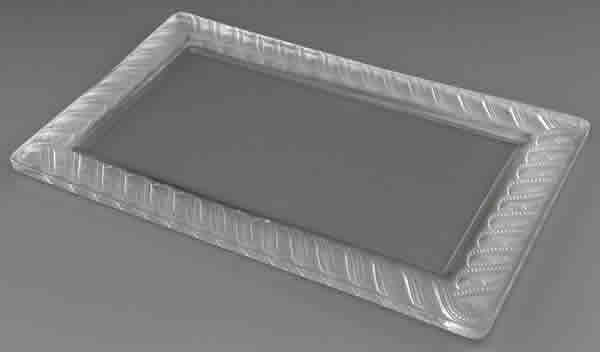 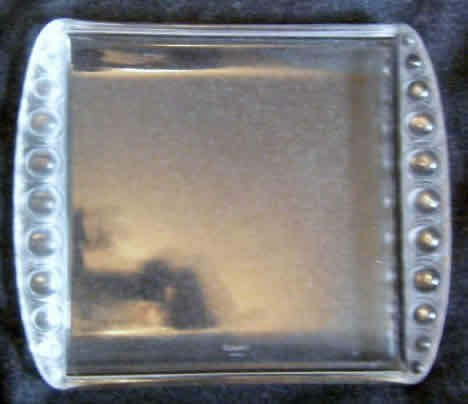 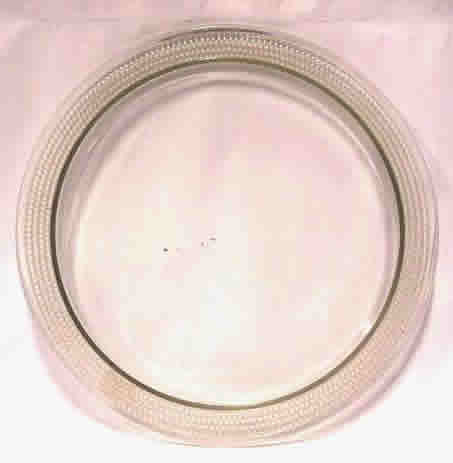 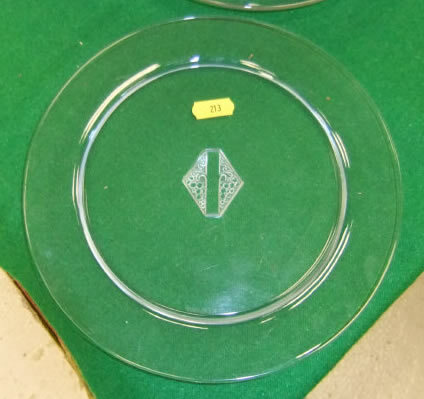 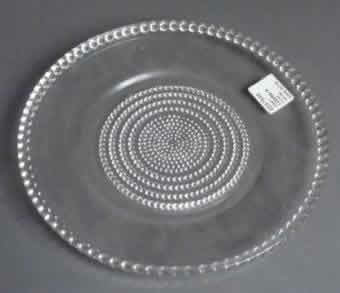 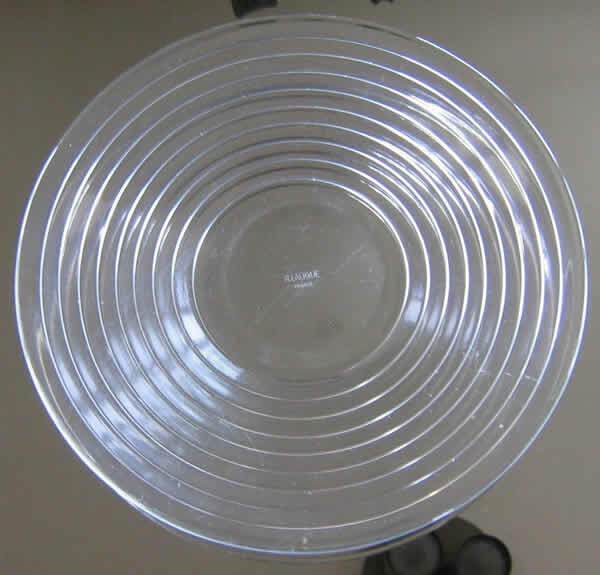 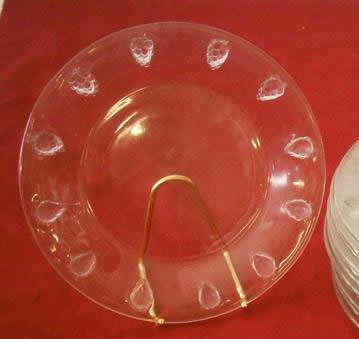 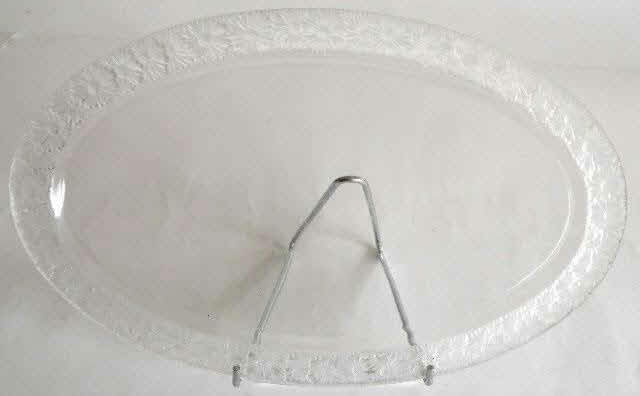 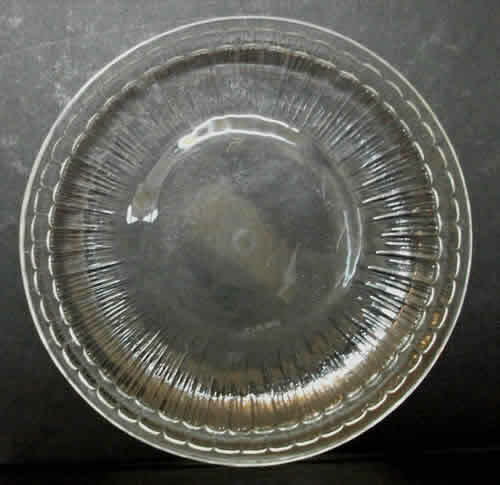 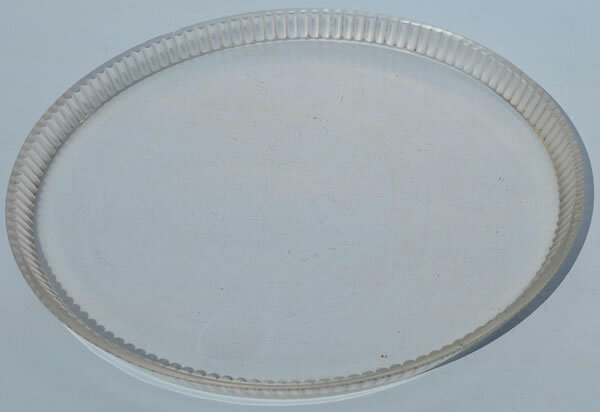 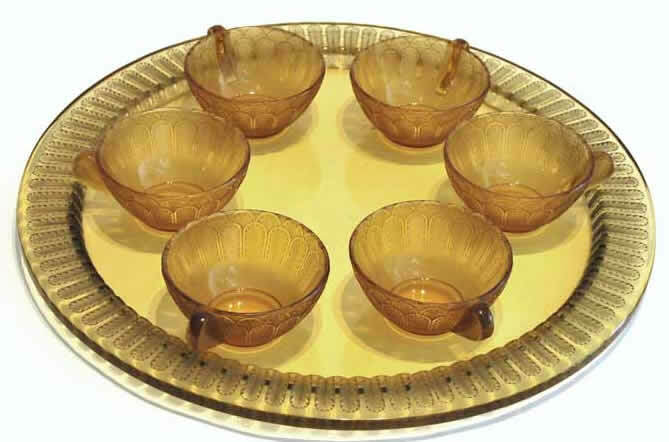 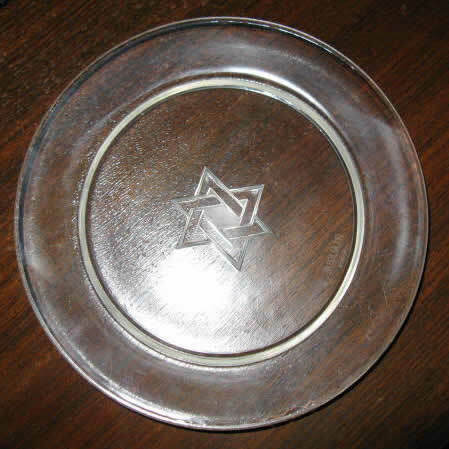 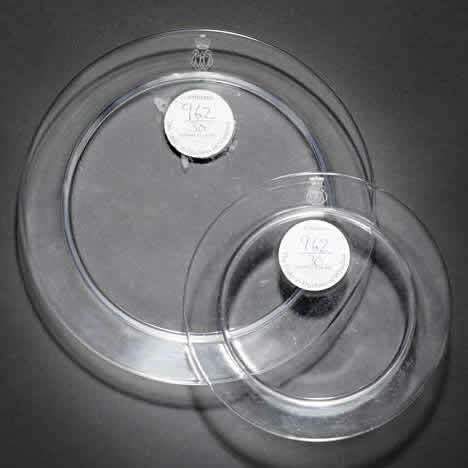 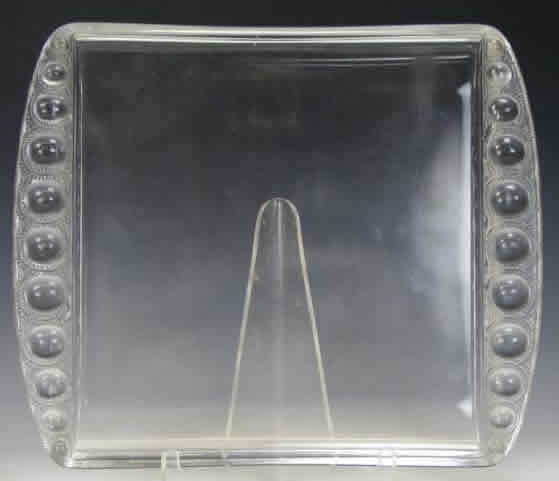 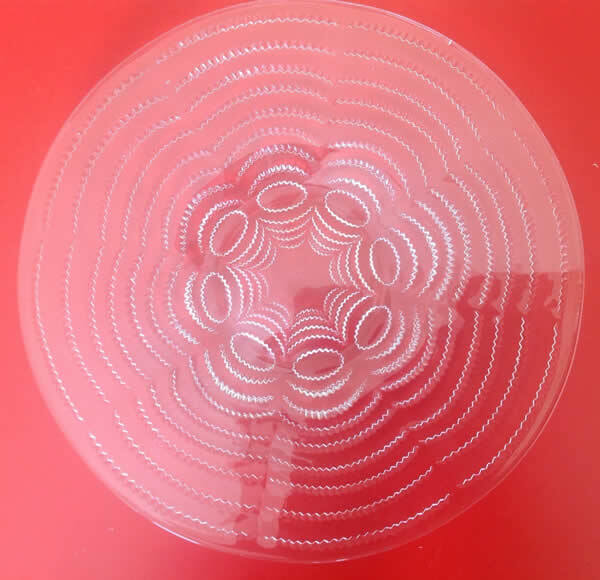 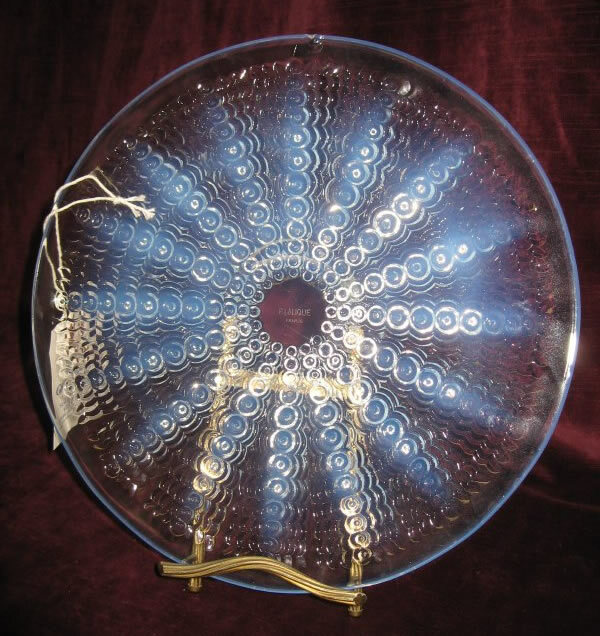 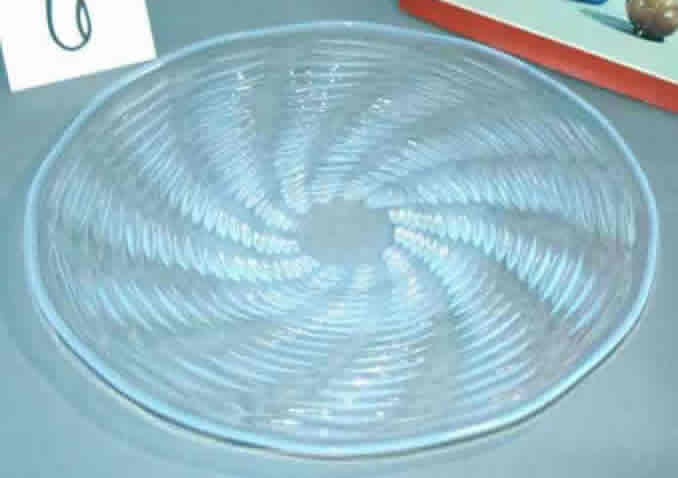 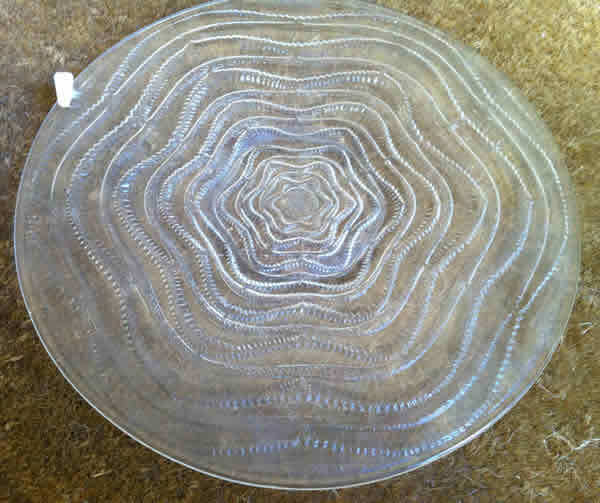 Platters and trays can be called everything from saucers to chargers and trays of various types. 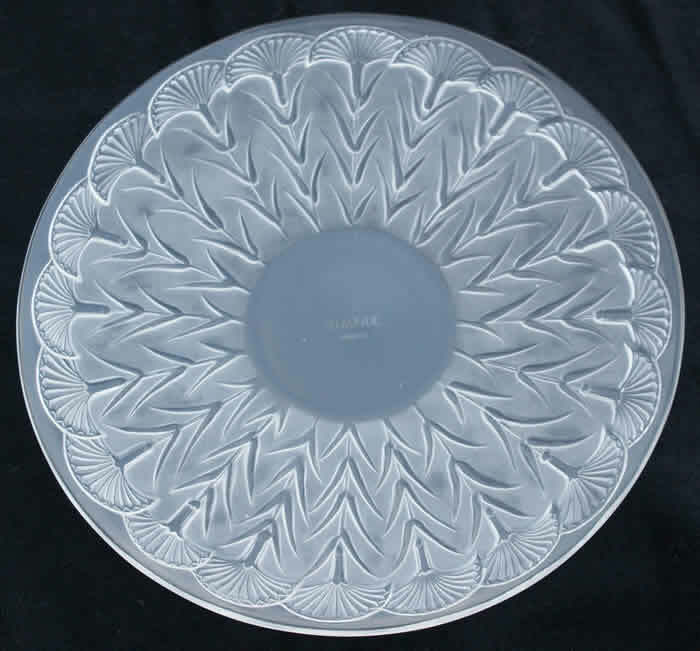 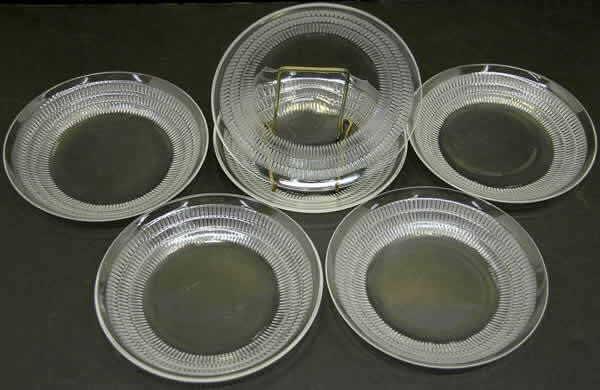 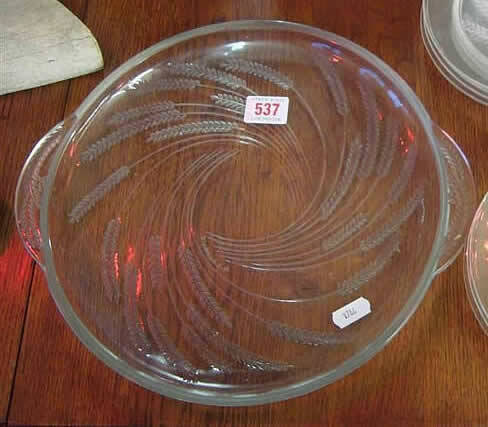 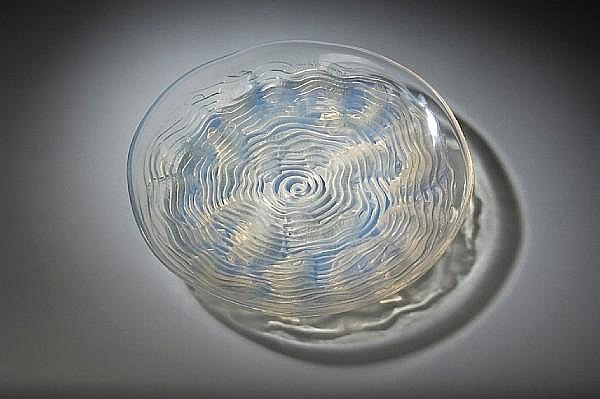 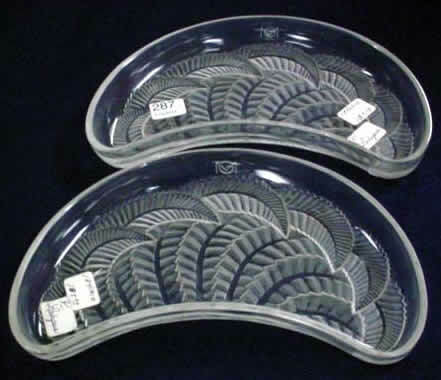 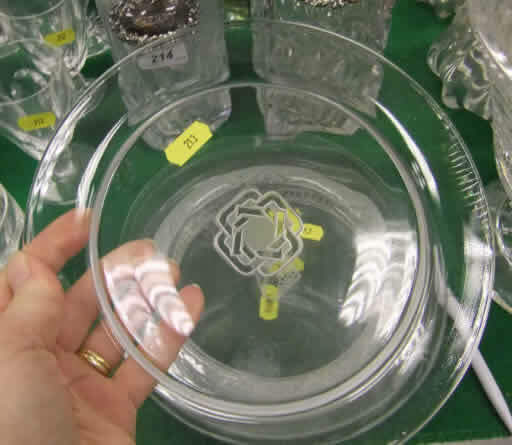 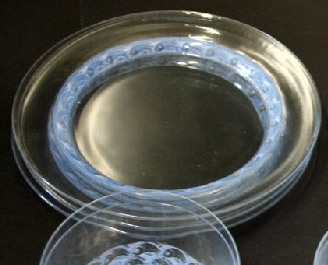 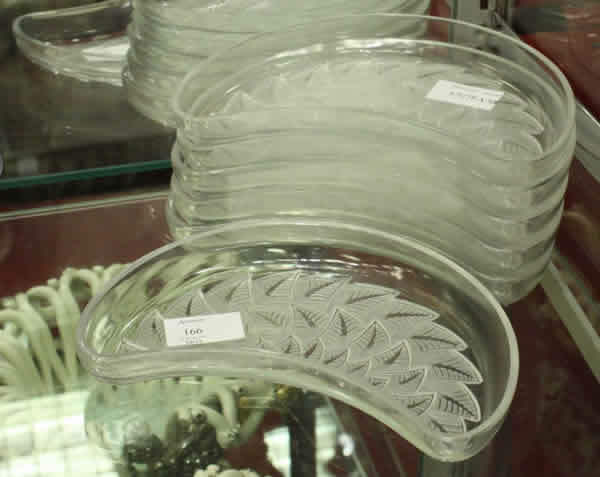 In terms of numbers, most R. Lalique plates were offered in 3 to 7 different sizes and shapes of the same basic design so that a purchaser could assemble a matching service in the same pattern. 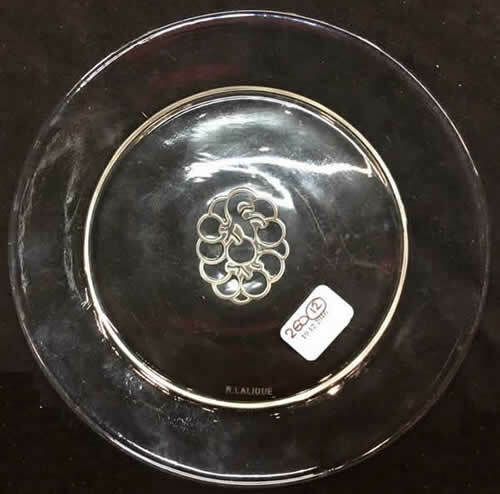 For organizing this category, we have only used one plate from each set so that we don't have hundreds of nearly duplicate listings, which would make identification from the photos much more time consuming. 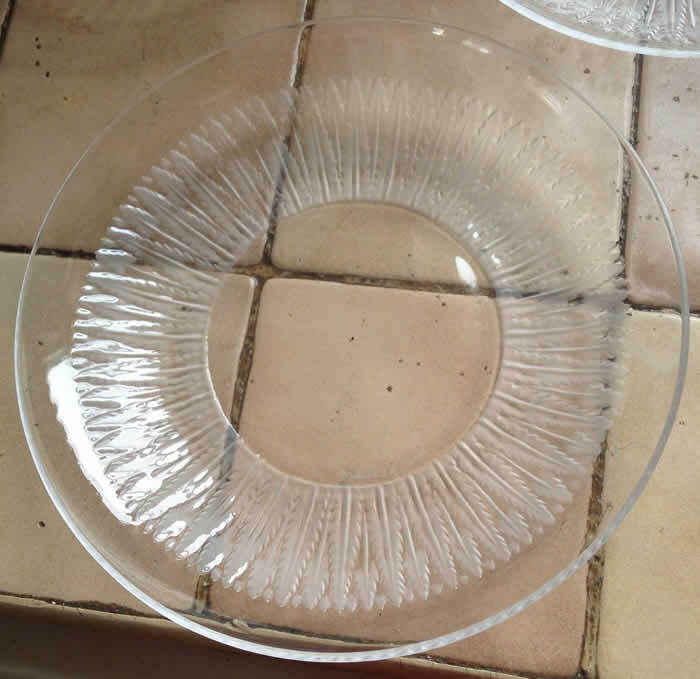 Note: If you don't see your plate or tray here, check Bowls and Jardinieres. 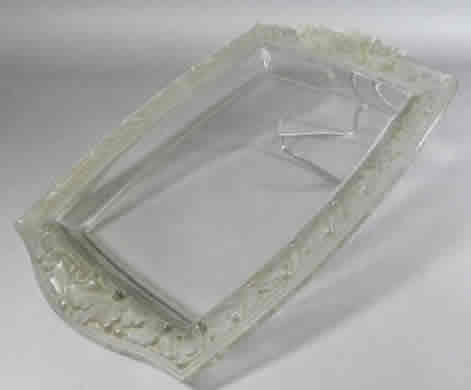 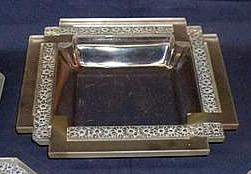 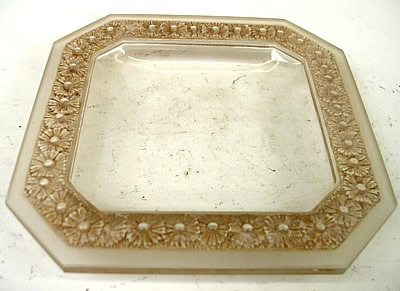 Also check Garnitures De Toilette for the matching trays sold as part of those sets.